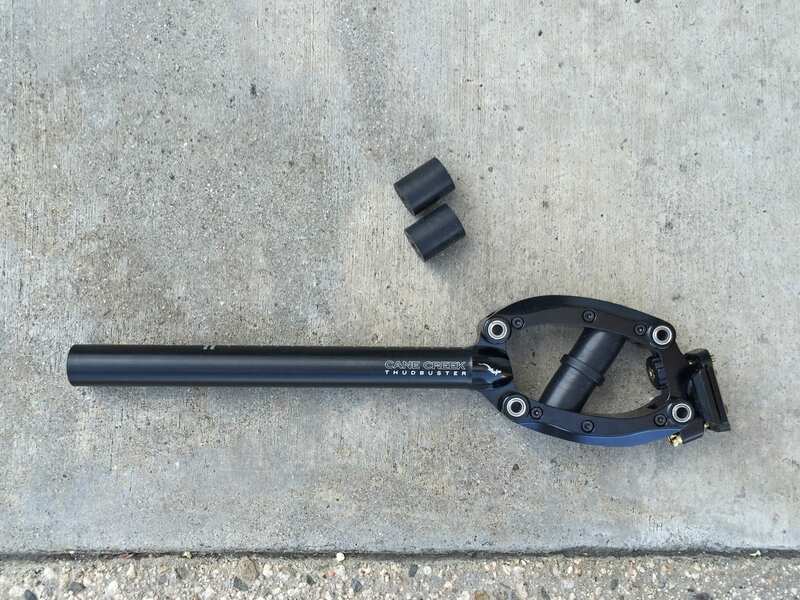 Cane Creek makes two seat post suspension units designed to minimize impact and vibration when riding bikes, the ST Short Travel and LT Long Travel (which is the focus in this review). 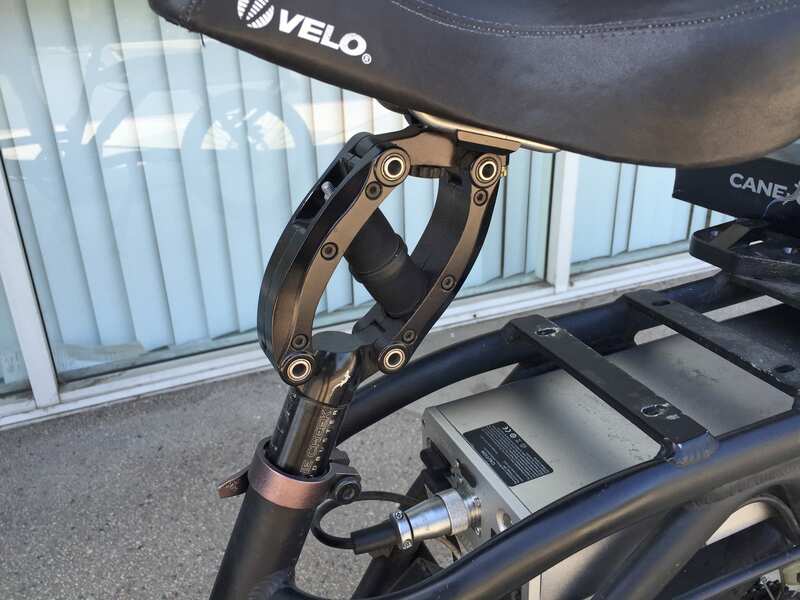 These products are especially useful on electric bikes in my experience because riding tends to be faster and for longer periods which can increase stress and strain on your bottom, back, neck and arms. As an ebike commuter myself, I chose a rigid frame bike to save money and weight but over time realized that my body was suffering. 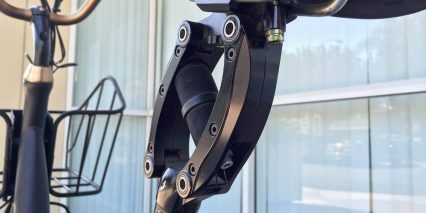 While there are other more affordable and basic seat post suspension units out there, none of them offers the same travel and comfort feel that the Thudbuster Long Travel product does in my opinion. 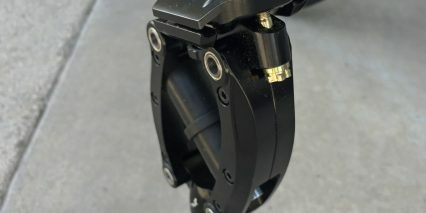 At ~$169 it’s much less expensive, less complex and less heavy than buying a bike with integrated suspension, especially a full suspension bike. 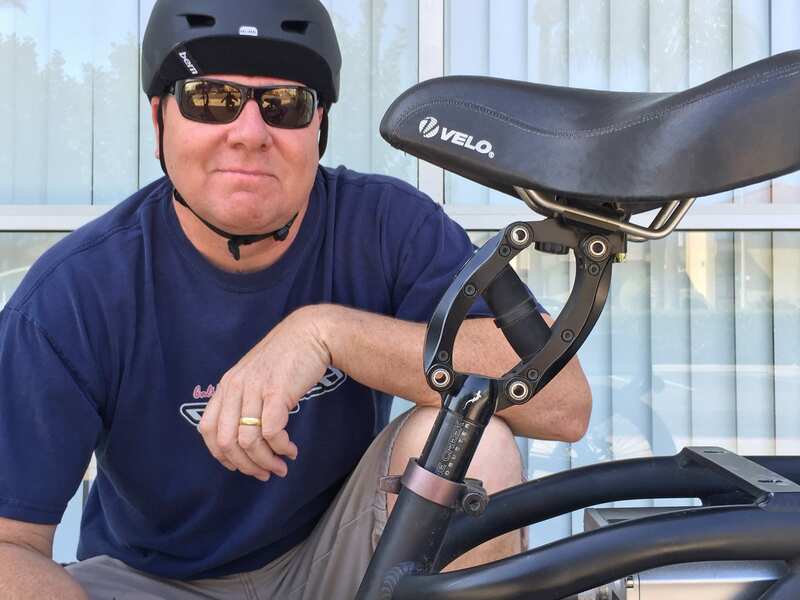 And in many cases, the bike style that you’re considering may not come with a suspension option at all… Cruiser style bikes in particular opt for large plus saddles and tires to improve comfort but that only goes so far. 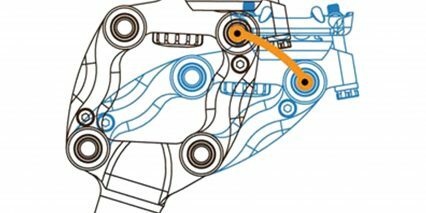 The Cane Creek Thudbuster LT delivers 142 to 346 mm travel depending on rider weight, elastomers chosen and unit size… See the attached “official-thudbuster-manual.pdf” for elastomer guide. It’s up to you to determine the seat post diameter that matches your bike (usually seat posts have an engraving on them near the base when you pull them out of the seat tube). One other way to determine this size is to take your seat post to a bike shop and ask for help or use a digital caliper tool like this. 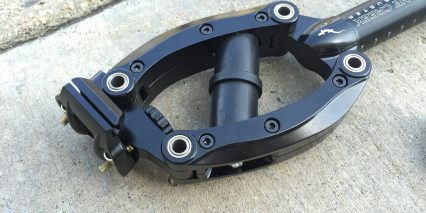 A common size I see a lot in the field is 27.2 mm and don’t worry too much about swapping bikes in the future which might have different diameters, Cane Creek and other companies offer shims for under $10 that can increase the diameter to accommodate a wide range of other tube sizes. So in short, your first consideration should be travel distance (Long Travel or Short Travel) noting that the LT design will move forward to back more than the ST. 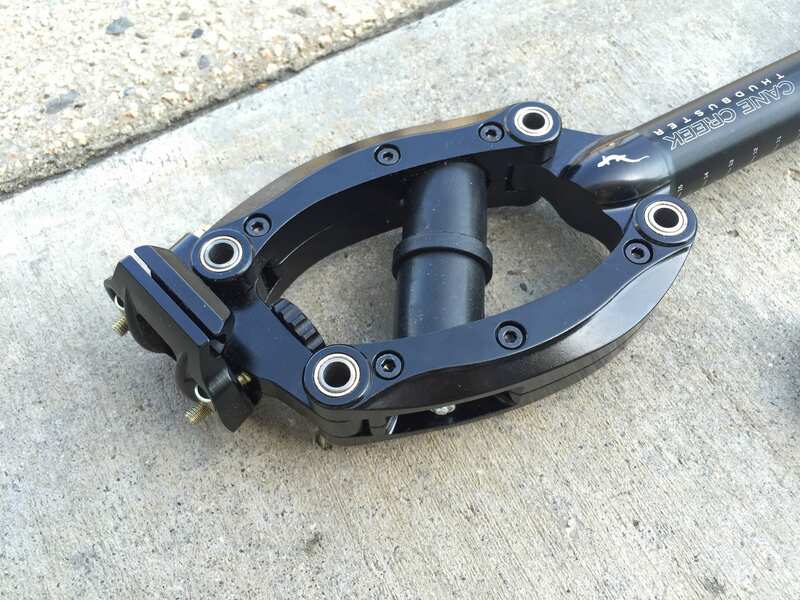 If precision body orientation is a key factor in the riding you do then this product could disappoint because your reach will vary slightly as the Thudbuster moves up and down…. the parallel-link pivot points are not completely vertical. 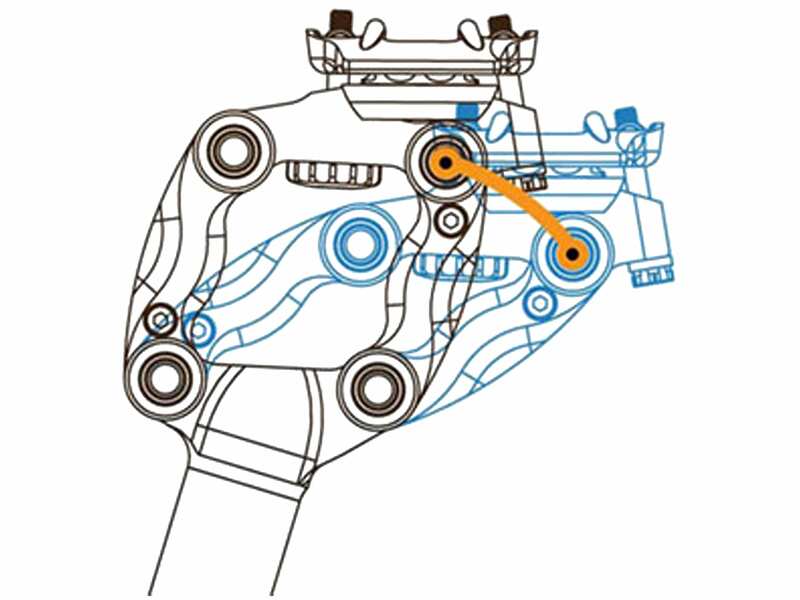 The Cane Creek website says that the net movement of the saddle is zero (relative to the upward and forward movement of the rear wheel) but there is horizontal travel as illustrated in their graphic and because the handle bars of your bike probably do not move relative to wheel motion, you will experience some reach change. 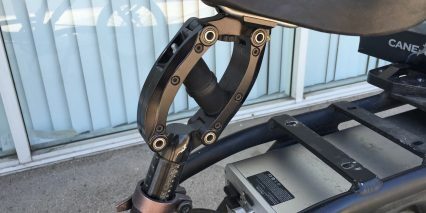 It’s not a huge deal in my experience but this is one area where other seat post suspension companies like Body Float communicate a competitive difference. Your next consideration might be elastomer stiffness which impacts travel distance, working in conjunction with your body weight and finally your seat post size. As a ~135 lb guy I have always used the standard included elastomers and chose the 27.2 mm diameter because it’s very common and easy to make larger with shims. 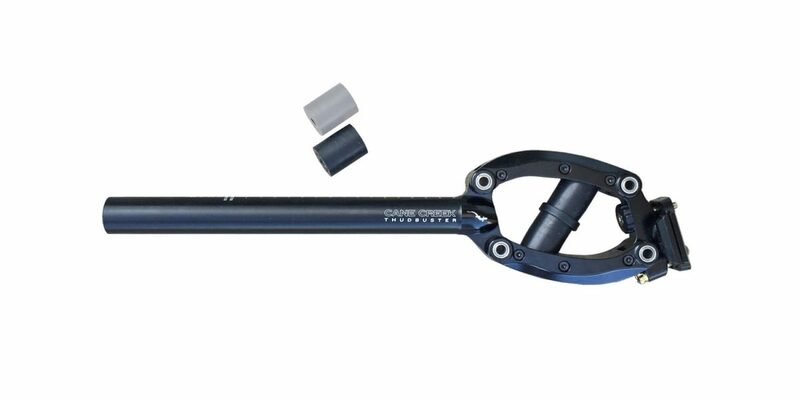 One area of difficulty I’ve experienced with seat post suspension products and the Thudbuster LT in particular is seat post slipping over time. 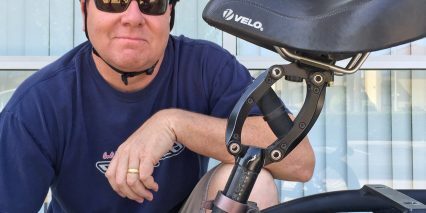 As bumps are encountered on the road or trail and my body weight is carried up and down the seat post can begin to slip lower and lower into the seat tube. This may be exacerbated by too much grease on the post or seat tube lubricating the interface and allowing it to slide more easily. 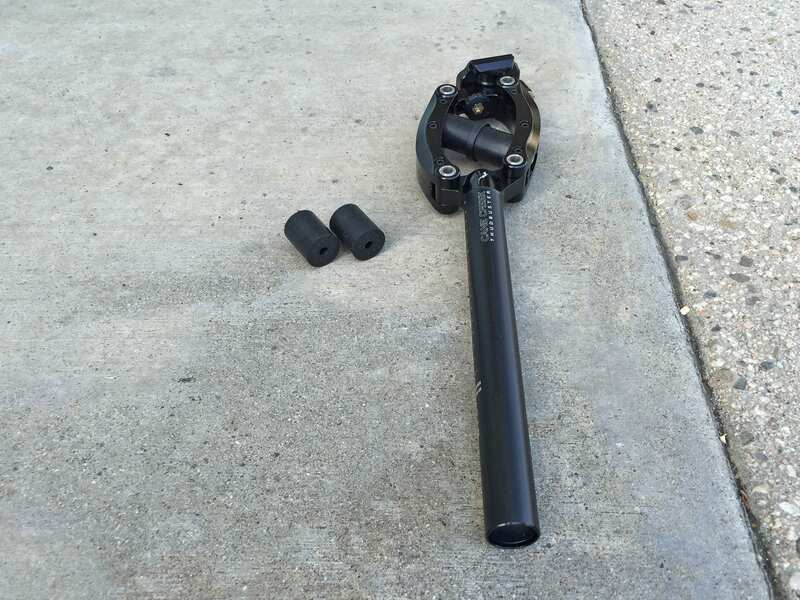 One approach is to more securely tighten the collar on your seat post or even replace the collar (which may be a quick release design) with a sturdier locking design like the Thompson Seatpost Collar. Note that you’ll be measuring the outside diameter of your seat tube when purchasing this piece and not the seat post diameter itself… So a 27.2 mm seat post may work with a 28.6 mm collar or larger depending on tube thickness. 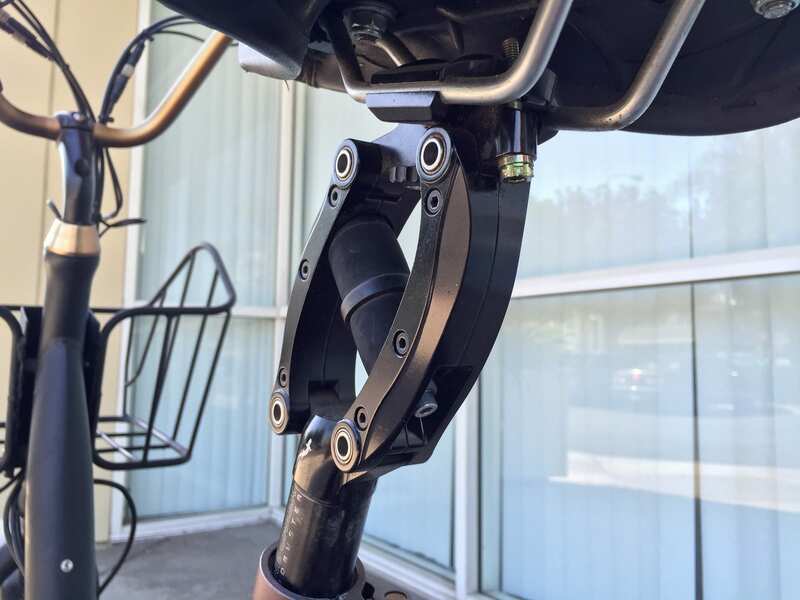 A second limitation or consideration of the Thudbuster Long Travel Suspension Seat Post is that it will elevate the lowest possible saddle height on your bike by ~5.67″. 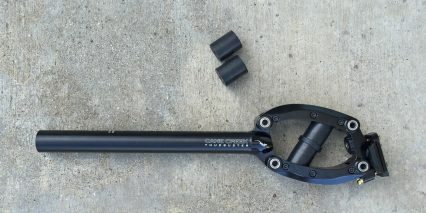 Unlike most stock seat posts which have a short clamp at the top and can slide down very close to the top of your seat tube, the Thudbuster Long Travel and its parallel-link pivot design extends upwards 144 mm (note that the Short Travel post only requires 98 mm). 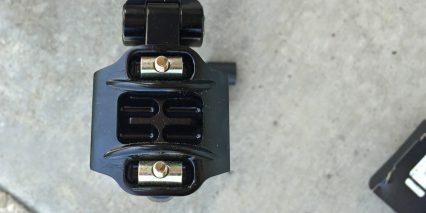 Note that saddles can vary in height by as much as 75 mm so that’s one way to lower the overall height when using a Thudbuster. 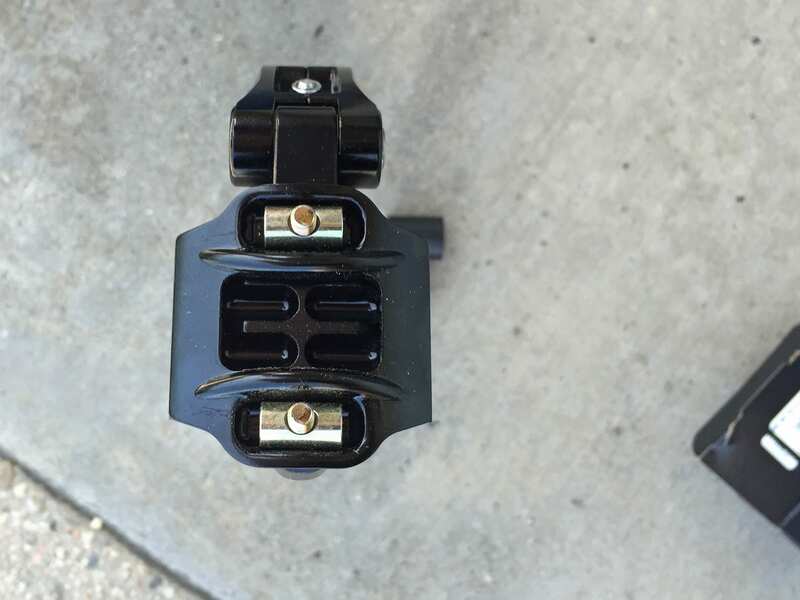 For riders with short legs or very tall seat tubes this may create instability when mounting or stabilizing the bike at stops. 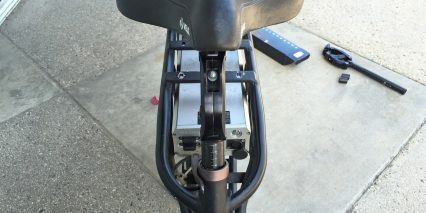 Furthermore, the parallel-link pivot design also protrudes forward and back from the seat tube and may collide with a battery pack or rear cargo rack and trunk bag. 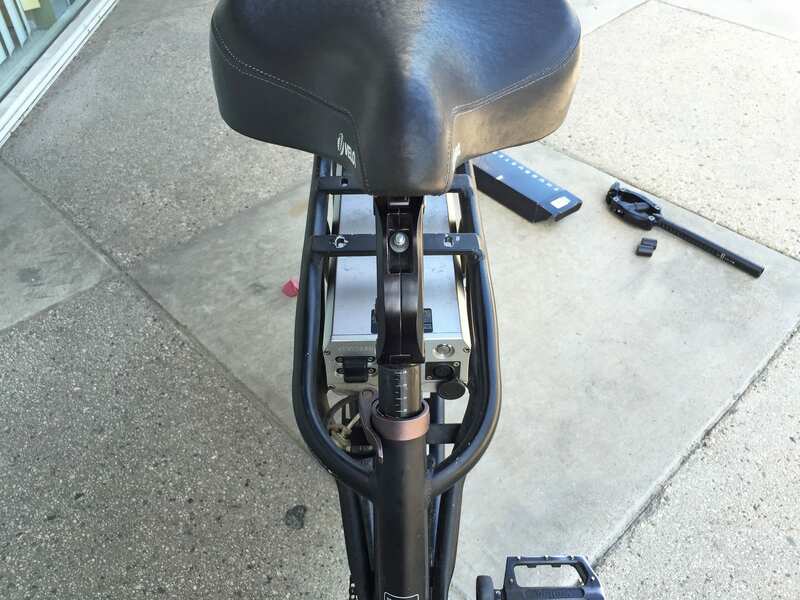 It also reduces the space you have for mounting a rear facing light and possibly saddle bags. 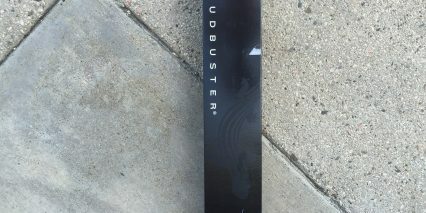 In these cases, a frame bag, backpack, lighted helmet or rack light may be considered as alternatives to allow for the Thudbuster. 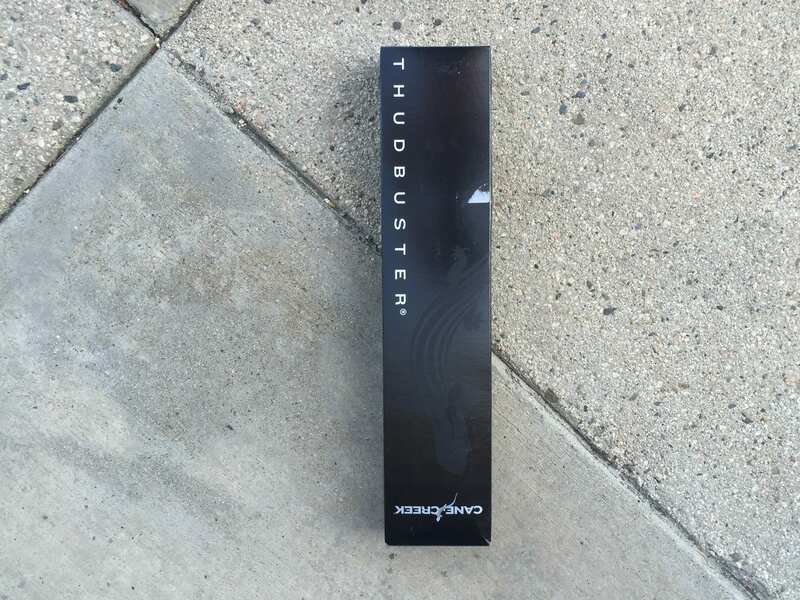 All things considered, I have found the Thudbuster LT to be an awesome product offering greatly improved comfort at a reasonable price point. It’s one of your best options for reducing back and neck pain on a bicycle without buying an entirely new bike… Sprung saddles, ergonomic grips and even different more upright or swept-back handlebars can also help with comfort (and may still be paired with a Thudbuster). 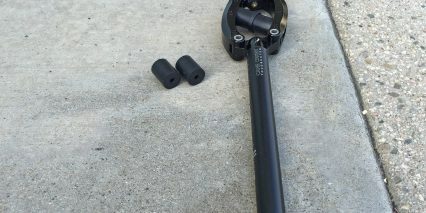 There isn’t perfect damping on Thudbusters (they claim the elastomers are formulated with inherent damping characteristics) but a bit of bounce may be experienced and the weight of this product is generally much more than a traditional seat post but we’re talking about just over one pound total (unless you get the optional neoprene cover or larger XL seat tube) and that’s much less than the added linkages of a rear suspension swing arm or sliders on a suspension fork. 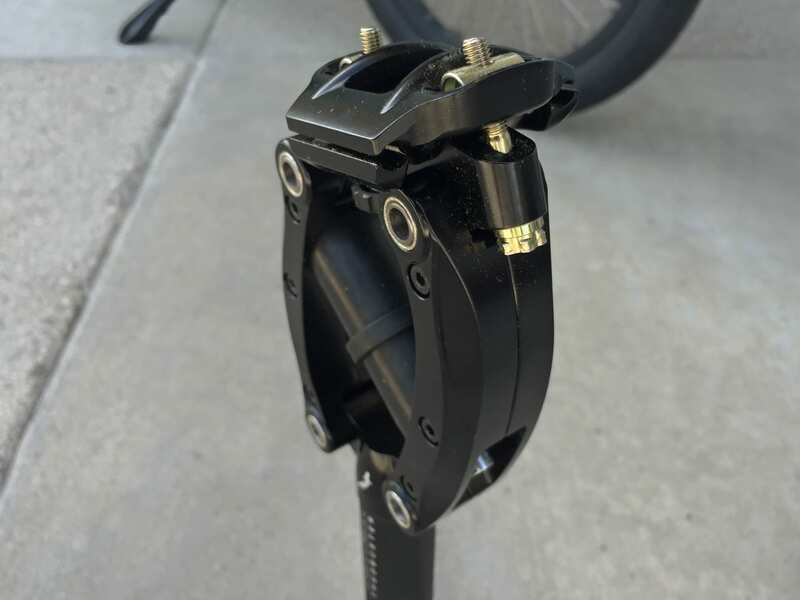 If you do your homework right and confirm that this post will work on your bicycle it may drastically improve your ride experience leading to more riding. If your back and neck are still experiencing trauma, consider purchasing a lighter weight helmet, not wearing a backpack (use panniers on a rear rack instead) and those other points about swept-back handlebars and padded grips.